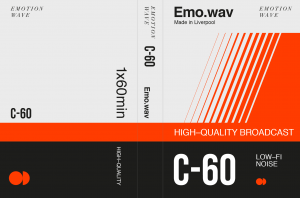 With John Cale announcing that Liverpool will be his only European show to celebrate the 50th anniversary of The Velvet Underground & Nico album, Joseph Viney reflects on its impact. How come one of the most influential records of all time was a critical and commercial failure upon its original release? The Velvet Underground’s debut album has always been an ideal representation of what the band, and later Lou Reed as a solo artist, projected, sought and discovered as a result of their artistry. Heading toward its 50th anniversary – and with John Cale set to play the album in full in Liverpool in May this year – the group’s combined, wildly varied elements echoed the cracked, bustling New York City streets from whence they came. The brusque and confounding creativity of Reed, the eccentric arrogance of John Cale, the quiet androgyny of Mo Tucker, the morose, tragic beauty of Nico, and the weird and wired leadership of Andy Warhol created one of many contrary patterns in the group’s lifespan: the ability to be vaunted as hot property while nobody wants to touch you with a bargepole. 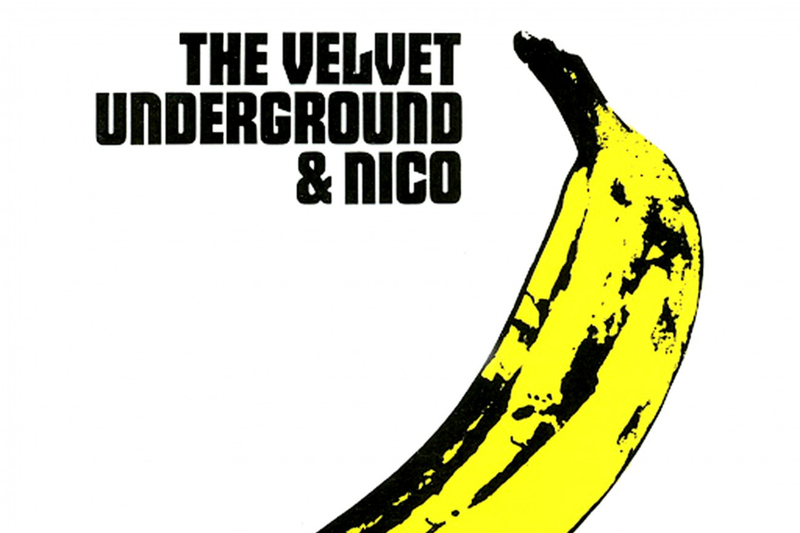 It was under these juxtaposed circumstances that The Velvet Underground & Nico (1967) – with its iconic banana illustration adorning the front cover – came to pass. Under the relentless direction of the Bernie-Ecclestone-as-albino Warhol, the Velvet’s debut is a brooding, crackling affair underpinned by some sense of hope and redemption. It glides effortlessly from pop to doo-wop to menacing recitals replete with lyrics and themes as dark as Reed’s shades and leather jacket. It was New York Punk before New York Punk was a thing. They preceded the New York Dolls, the Ramones, Patti Smith, Blondie and the whole CBGB gold rush; teaching us just what dedication and ambition can do for anyone. One key difference between The Velvet Underground and their so-called contemporaries lay in the thematic foundations. Reed, Cale and Warhol donned their wax wings full well knowing the sun was out; traversing across sadomasochism, fetishism, homosexuality, drugs, alcohol and other topics deemed taboo not even a lifetime ago. The Velvet Underground thrived on luring their audience and listeners into a false sense of security. 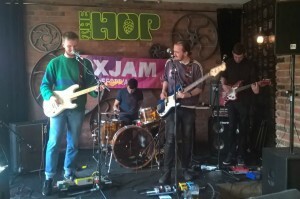 Live, the group would turn four unassuming, black-clad musos into conduits of sonic assault. Gigs became an exercise in perseverance; washing the crowd with noise that you’d expect to hear wearing an orange jumpsuit in a certain prison in Cuba. On record, their effortless, goading deception was a more subtle affair. Opening track Sunday Morning is almost onomatopoeic in the sense that it seems to aurally capture the sense of a perfect end to the week. Its lullaby lyrics and twinkling serenity underpin Lou Reed’s slanting vocals (indeed, one of the best deliveries of his entire career), and the unguarded listener is already drawn in. It’s the following track – I’m Waiting For The Man – that really does encapsulate those contradictory moods that propelled the Velvets. A jagged and bouncy chord structure shining with pop sensibility carries another smooth vocal performance disguising the grim reality of the lyrics; the white boy being asked what he’s doing uptown while trying to cop some heroin from the titular Man. Drugs – notably heroin – became a recurring theme throughout the record and the respective continued careers of the Velvets and Reed. The track Heroin is notable not just for its confrontational, no-holds-barred, look ‘em in the eye approach of intravenous drug use – still as taboo as it has ever been – but musically, artistically, the song washes over the listener like a heady rush. Climbing up and down regularly, the song’s heart beating rhythmically and then erratically, it can leave you as washed out and shaky as a user. Songs that come with caveats tend to be the best kind, though. Nico – keenly pushed toward the spotlight by Warhol and surprisingly allowed to stay there by control freak Reed – sought and found her place in history with her turn on All Tomorrow’s Parties and Femme Fatale. You’d be forgiven for thinking that The Velvet Underground & Nico hit the ground running upon release; the legend secured immediately. The truth – as ever – is more plain and difficult. The album racked up a paltry 30,000 sales in its first five years. That’s 6,000 copies per year for a project helmed by Andy Warhol, featuring a tall, sometimes bare breasted European goddess and some of the most addictive, entrancing and devilish songs in the rock canon. Peaking at 172 on the American Billboard chart and Reed – whose drive and obsession frightened everybody but himself – was left humiliated and out of pocket. By then, the legend was already out of control. It was always hard to tell what Reed wanted, but you imagine Warhol would have been delighted.